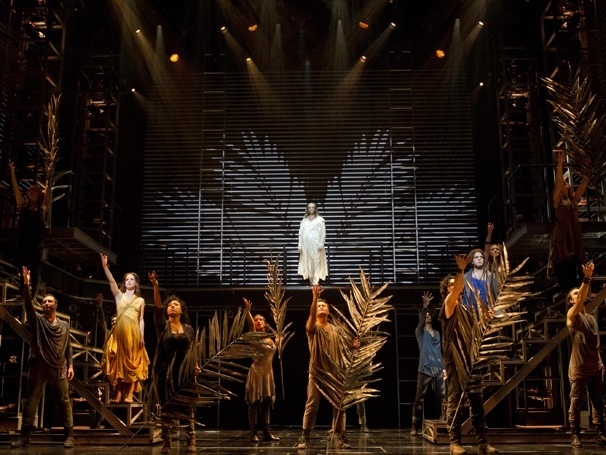 Andrew Lloyd Webber reportedly saw this new staging, by Jersey Boys director Des McAnuff, at the Stratford Shakespeare Festival and insisted it go to Broadway. 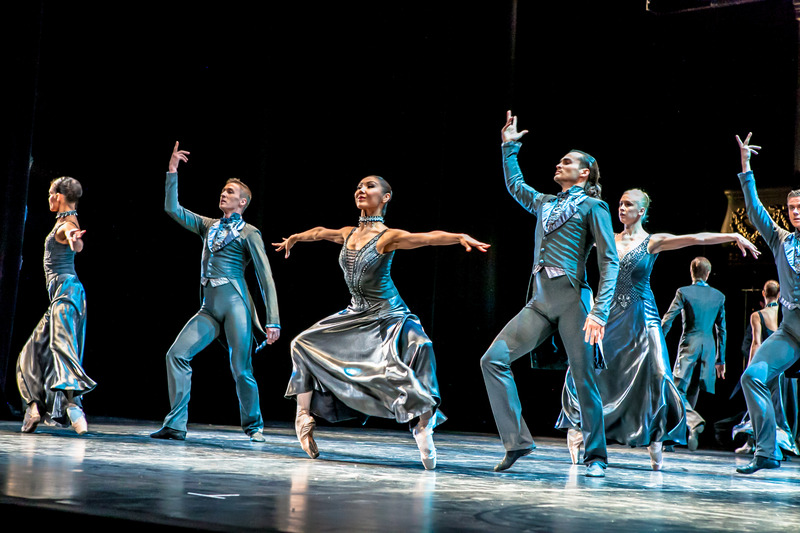 Apart from giving us the chance to hear that magnificent score again, the singular vision of the creative team has created an entirely satisfying and supremely enjoyable staging of the classic show. McAnuff’s brisk, expert storytelling illuminates the characters and events in intelligent ways, presenting the main focus as the love triangle between Jesus, Judas and Mary. Seen mostly scowling and circling the main group, Judas clearly has the greatest possible affection for Jesus. He is threatened by Mary to the point of being driven to the High Priests to betray his dear friend, a decision that drives him to suicidal rage. The power plays of the Priests, Pontius Pilate and Herod are crystal clear not by being simplified, just due to the great direction. Stakes are shown as being high for the apostles, who are presented as a tribe on the run from authority figures. Robert Brill’s two-level scenic design, which, coincidentally, has the identical structure to that of the current Evita, sets the action in a sleek world of black and chrome. Effective use is made of height to symbolize power, and two sets of staircases perform a range of clever functions. Deliberately hazy projections colour the rear of the stage, with a modern ticker tape display giving the times and places of the story. As with the set, Paul Tazewell’s costumes are certainly not of the period but rather are neutral ensembles in dark tones. 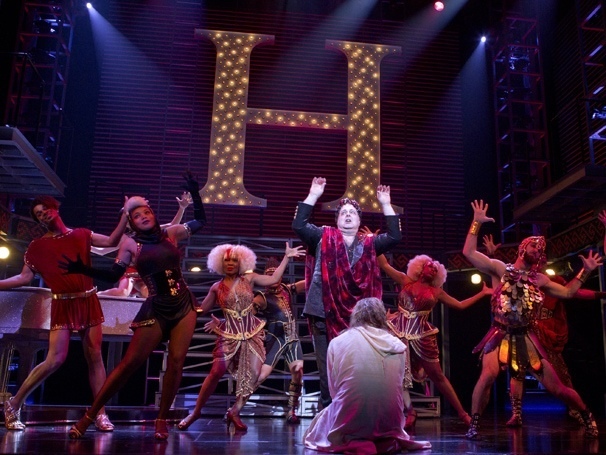 Herod’s glittering red outfit gives a welcome jolt of colour in act two and Judas’ shimmering electric blue “Superstar” suit is quite spectacular. Only Mary comes off second best, wearing a baggy yellow ball gown that looks like one of Belle’s hand-me-downs. 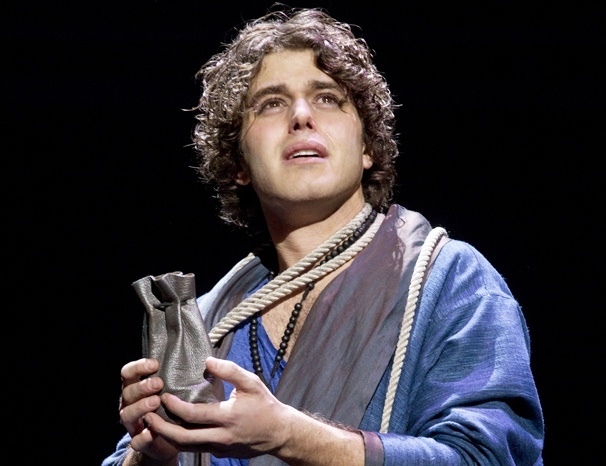 Josh Young – remember the name – is a sensational Judas, consistently thrilling with his singing and acting. 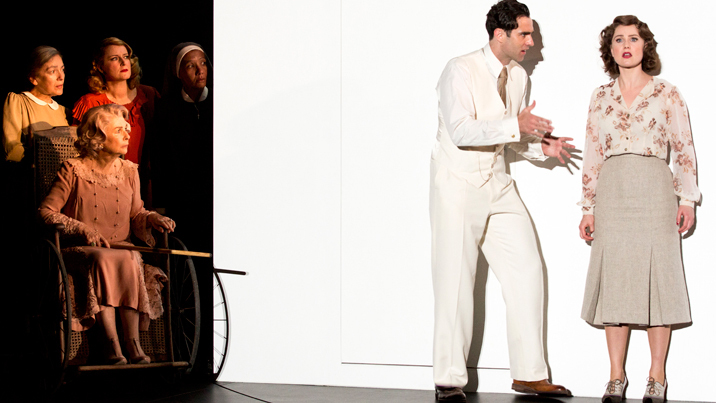 Paul Nolan is a noble, gentle Jesus, his humanity truly affecting in the final dramatic sequence. 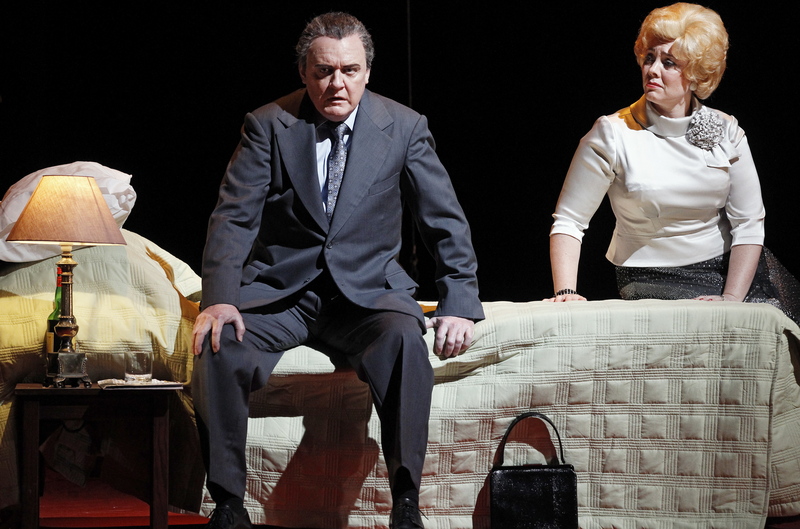 Nolan’s rendition of “Gethsemane”, arguably the finest tenor aria in music theatre, is superb. Chilina Kennedy, somewhat outclassed by the men in terms of singing, nonetheless gives a centred, endearing performance as Mary. 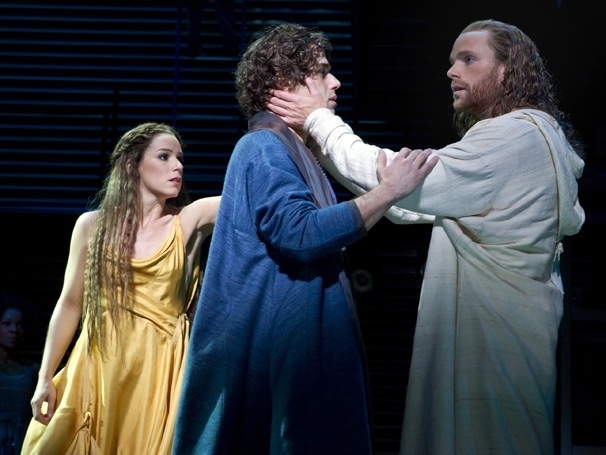 Broadway vet Tom Hewitt conveys the cowardice and conflict of Pilate, singing the role with ease. Bruce Dow is a hoot as Herod. Marcus Nance, as Caiaphas, has a voice so deep that it defies description in a review; you will just have to hear it for yourself. 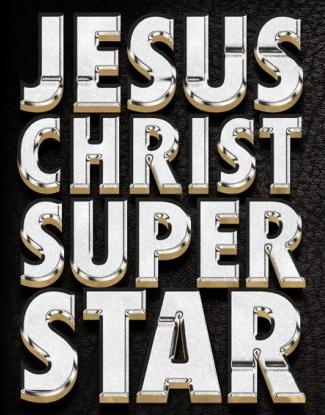 With 23 of the company of 29 making their Broadway debut, this is an enthusiastic, carefully selected cast that clearly work together with joy to perform this classic rock musical. Attendance is recommended, or at least check out the cast recording when it arrives. 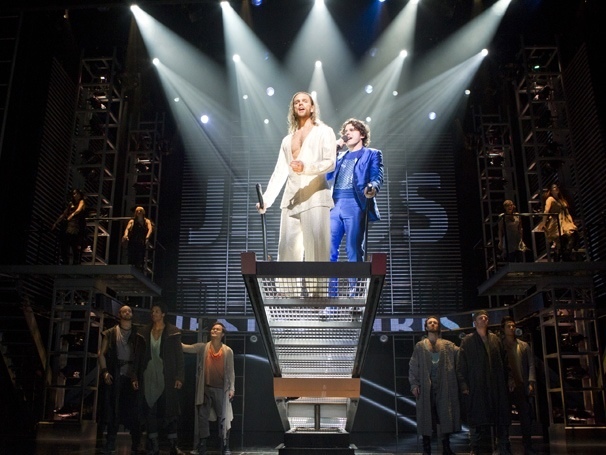 Jesus Christ Superstar has an open-ended run at Broadway’s Neil Simon Theater. Reviewed 8pm Saturday 14 April 2012 at Neil Simon Theater, NY.